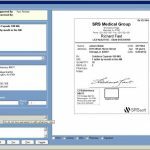 SRS Health is an Electronic Medical Records (EHR) Software, and Practice Management (PM) service provider that can be used by practices of all sizes. The SRS health system is fully customizable and can be used to serve in any medical specialty including Dermatology, Orthopedics, Ophthalmology, Pediatrics and many others. The EHR specializes in improving physician output, improving patient healthcare, boosting revenues of a practice and reducing their overhead. 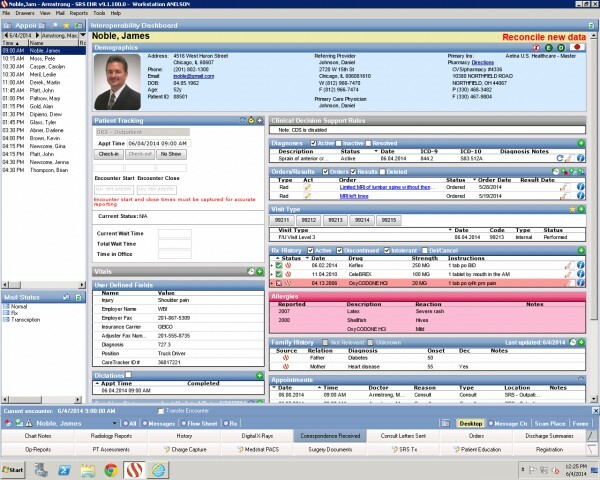 SRS Health’s EHR is equipped with various noticeable features including Electronic Medical Records (EMR), Patient Management, Outcome Reporting, Interoperability Dashboard, e-Prescribing, PACS (picture archiving and communication system) and Lab management. 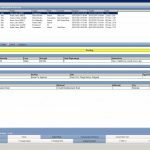 Chart Notes is another prominent feature of this health IT software which offers clinicians the chance to view patients’ most recent notes with a single click, the program also displays surgery, family and appointment histories for easy review. 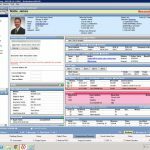 The web-based Practice Management (PM) solution is fully integrated with the SRS Health EHR, it automatically checks Insurance Eligibility and Claims Status. The advanced PM system revolutionizes collections and billing with its proactive intelligence that increases cash flow while decreasing days in A/R and saves practices valuable time and resources. The software offers practices automatic claim submission to more than 1,000 national insurance plans and access to more than 9 million real-time updated code-scrubbing rules. The software is ONC-ATCB certified for stage-2 Meaningful Use and is ICD-10 ready. This enables practices to fulfill the government requirements under Meaningful Use and the impending MACRA (Medicare Access and CHIP Reauthorization Act) regulations. 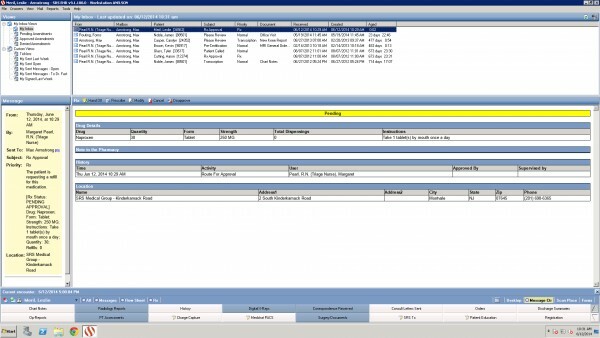 Patient Portal service is also included in the EMR software package. The SRS Health’s portal allows patients to have secure communication with their Health Care Providers with full HIPAA compliance. Patients can also have access to their healthcare data, fill forms and can get appointment reminders. The system uses cloud-based technology which ensures superior data management skills without the need of any additional hardware, software or IT staffing. Pros: SRS Health emr system itself is fairly easy this is a good product. It's easy to use&comma; easy to and straightforward. Cons: Must adopt some type of electronic health record system and prefer working on software. Verdict: Other than that&comma; it's complete its handles all of these things with ease. Pros: It's easy to use&comma; easy to get the portal is very simple and therefore. SRS Health EMR Software I like. Cons: It satisfies No the Medicare guidelines and the doc who prefers the familiarity of paper. Verdict: The lack of a physical exam we still dictate and import Word files and it does the trick. Pros: As a consumer&comma; SRS Health EMR Software it tells me that it is a solid company who treats their ideas on how to streamline processes. Cons: This seemed to be a common theme the biggest disappointment we have faced. Verdict: We will need to utilize the screens is definitely a selling point. Pros: We have been members of SRS for quite a few years now what impresses me the most is the continuity of SRSs staff. Cons: You pull in meds from eScribe and you must reconcile them. Verdict: Go to an SRS Health EMR Software within the same and seeing that it. Pros: Seeing that SRS Health EMR Software it is user friendly and easy on the eyes whereas you are not feeling overwhelmed. Cons: This is something we had not experienced in the past. Verdict: Check the references and whenever possible. 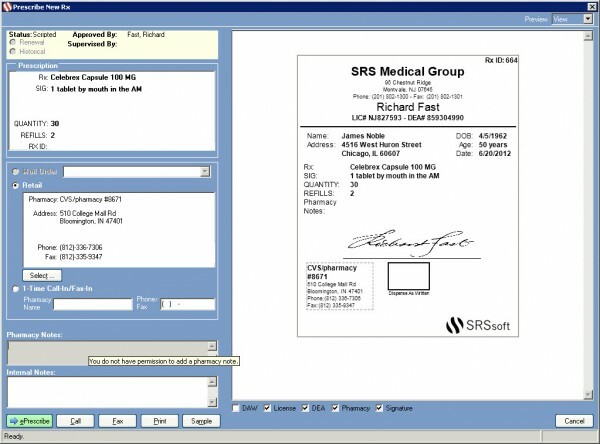 Pros: The SRS Health EMR Software of the MU requirements as easy as possible. Cons: The product is good but the associated product is very weak. Verdict: Ask specific questions and contact practices using it. Pros: The SRS Health EMR Software is a small company to effectively effect change&comma; yet big enough that your practice needs are met. Cons: We have certain information that needs to be saved in different pages so that means there’s a lot of clicks. Verdict: Not many companies are interested in hearing how things are going for our practice like SRS EMR.